This is too funny! What religion is this!? Subhan-Allah! how they are deluded, at one point he’s their Imam, and they have no doubt about his Imamah, then he goes to jail and they all doubt his Imamah and leave him and form various sects… WHERE ARE THE DIVINE SHIA TEXTS AND HADITH!? What kind of religion is this!? Chaos! Confusion! During the time of the Imams they didn’t know who their Imams are! Can you Imagine!? [A group said that he passed away in the prison of al Sindhi bin Hashik, and that Yahya bin Khaled al-Barmaki has poisoned him with some dates and grapes he sent him and that the Imam after him is `Ali al Reda. This team is called al Qat`iyah because they passed his death to the Imamah of al Reda. Where are the texts that state that the number of Imams is Twelve!? The companions of Musa bin Ja`far differ and form five different sects! Has the Imam not said anything? what is apparent from these narrations is that the companions of the Imams not only did they not know who the Imams were, but they never even knew their number, all this nonsense about “twelve infallibles” the Shia of those days didn’t even know these. And why wouldn’t he die? is he some kind of Jinn? They made Takfeer on the nation because we do not believe in their Imams while they never knew their OWN Imams. They think Musa will come back and rule the east and the west and fill the earth with justice as it was filled with oppression ALL OF IT DREAMS! Illusions! their `Aqeedah is an Illusion! Their seventh Imam never dies, and he is al-Qa’em al-Mahdi, WHAT A FAILURE THIS RELIGION IS. Which reminds me of the story of the Twelver Shia in our days, because everyone knew that the 11th Imam never had a son, nor did anyone report that his wife was even pregnant, so what did the Twelver Shia do? 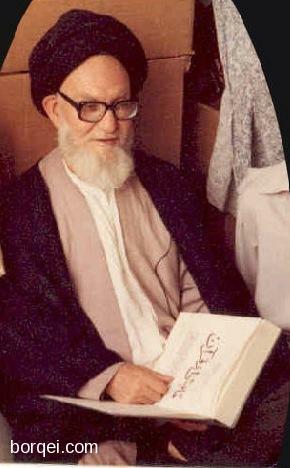 they invented narrations saying that the Imams are not born like average humans, they are born from the thighs of their mothers since they are pure, and they are born in one day not in nine months like average children, and that when he was born he grew up in one day like an average human would grow up in one month, then he left his house and ran away and no one saw him and he is still alive until this day and he shall appear and fill the earth with justice as it was filled with oppression… the same scenario we see it here, by the same lying Shia. But do you know something? I’d rather believe the story of these Shia who believed that Musa was the Mahdi rather than believe the story of the Twelver Shia of our days, at least those Shia can prove that Musa bin Ja`far exists, and their story is much less ridiculous try comparing the two and see for yourself. Subhan-Allah! they claimed occultation or Ghaybah for their seventh Imam! now you know where the stupid idea of “Ghaybah” came from, these ridiculous beliefs have been around since the year 183 hijri, who knows maybe even before it because they claimed Mahdawiyyah for many people not just Musa bin Ja`far. Not only that, these people were all living in Kufa and were all narrating narrations from the infallible Imams to support their beliefs, especially Ja`far al-Sadiq who lived in Madinah among Ahlul-Sunnah. Of course you won’t find many of these narrations today, only bits and scraps since certain other Shia sects never agreed with them. Forget about the names of the twelve Imams, where the heck are the narrations about the number of Imams!? it is extremely obvious that the Shia had no idea that the number was even supposed to be Twelve! More importantly look at the silly Shia stories, the same thing over and over, they claimed that the man is alive, he is the Mahdi, he has disappeared in some location, and only his close companions and “emissaries” can meet up with him, WAKE UP YA SHIA! Allahu Akbar! It’s as if you’re debating a Shia online, the same exact lame arguments and the same back-wards retarded logic as their ancestors, you ask them: “How is it that he is still alive for all this time?” they respond: “Isn’t prophet `Isa still alive.” May Allah destroy the deviants and wipe out the deviance! And these my friends are the Waqifi Shia, and these guys unlike their Fatahi Shia brothers did not add extra Imams, instead they subtracted Imams and denied the Imamah of almost half of the standard twelver Shia Imams. So the Shia were debating each-other, the companions of al-Reda VS the companions of al-Kazim, and it seems that the Waqifah had some really strong arguments and it angered the companions of al-Reda so they started to illustrate those “Akhlaq of Ahlul-Bayt” and he called him a wet dog. of course they had to debate, they couldn’t just all go to `Ali bin Musa and ask him “Are you the Imam?” and then he’d perform a miracle or answer 30,000 questions in one sitting in order to prove that he was an infallible divinely appointed Imam. By Allah, is this a religion!? and notice what they said “We narrated a lot of narrations that state that he was al Qa’em al-Mahdi” so I want to address a question to al-Kulayni the author of al-Kafi, I ask: Where are those narrations you filthy pig!!? Where are the narrations you lying Zindeeq!!? I want the Shia to read this and I want the Shia to know, that these people, these Shia sects, they ALL had plenty of narrations which they claimed that they received from the infallible Imams just like you do. Did you read? “And NOT from the news and narrations of those who claim to be his companions”, I SWEAR TO GOD That the Shia knew they were liars, they knew that all those claiming to be the “companions” of this Imam or that Imam are a bunch of un-trustworthy liars who would fabricate narrations to support their opinions and corrupt beliefs. This is why they would only accept if they heard it from the Imam’s mouth not from his companion’s “narrations”. So we will stop here, and there are other groups that emerged but I don’t want to waste any more time, we will just stick to the Waqifiyyah and talk about them briefly after we learned about their origins and beliefs. Ibrahim ibn `Abdul-Hameed, he is a Waqifi who believes in all the things we listed above, what did they say about him? So this man, is a Waqifi, and he wrote one of their Shia 400 Usool, meaning they are relying in their most fundamental beliefs on an Asl written by a Waqifi. It is as if the Muslims would rely on a book of Hadith written by a Twelver Shia, this is how ridiculous it is. We explained what these Usool are in a previous thread and we repeat: The Shia Usool are basically 400 books of Hadiths written by the companions of al-Sadiq and al-Baqir. Means he is the Mawla and companion of al-Baqir and al-Sadiq, and he is from al-Kufa in `Iraq. According to al-Tusi, he was from the trustworthy companions of al-Sadiq, he was such a big scholar that he wrote one of their main 400 fundamental Shia Usool, and he lived in the time of al-Reda but didn’t hear narrations from him… and he was a Waqifi! So we ask, how is it that such a great and knowledgeable, trustworthy companion of the Imams, doesn’t know who the Imams are, or even their number? because the Waqifah obviously did not believe that the number of Imams was twelve. Was there no one in Kufa to tell this great figure that the infallible says that the number of Imams is twelve? إسحاق بن جرير بن يزيد بن جرير بن عبد الله البجلي، أبو يعقوب، ثقة، روى عن أبي عبد الله عليه السلام، ذكر ذلك أبو العباس. له أصل، أخبرنا به ابن أبي جيد، عن ابن الوليد، عن الصفار، عن أحمد ابن محمد بن عيسى، عن الحسن بن محبوب، عن إسحاق بن جرير. 24 – إسحاق بن جرير، واقفي. عدّه المفيد في رسالته العددية من الفقهاء الاعلام، والرؤساء المأخوذ عنهمالحلال والحرام والفتيا والاحكام، الذين لا يطعن عليهم ولا طريق إلى ذمّ واحد منهم. Imagine, a trustworthy companion of al-Sadiq, who narrates his Ahadith, and wrote one of the Usool, is a Waqifi and does not believe in the Imamah of `Ali al-Reda or his children including the 12th Mahdi, instead he believes in the 7th Mahdi. 14501: أبو عبداللّه بن ثابت: تقدّم في ترجمة حميد بن زياد أنه ثقة، ومن رجال الواقفة. As you’ve just seen these men have gathered two important qualities, the trustworthiness of their narrations, the second quality is their Dirayah or in other words the accurate understanding of religious texts, so notice how these men are being described, and then think about the fact that they lived and died with the Imams, narrated from the Imams, and never knew the Imams. Why do the Shia scholars say “There is no way to criticize them?” why don’t they quote their favorite narration about people going to hell if they never knew the Imam of their time? Keep in mind we’re not talking about dumb ignorant laypeople, these are great scholars of Usool and they supposedly laid the foundations of the entire Shia Madhab, they have narrated directly from the Imams and had a very good understanding of what they were talking about. أحمد بن الحسن بن إسماعيل بن شعيب بن ميثم التمّار، مولى بني أسد. قال أبو عمرو الكشّي: كان واقفاً، وذكر هذا عن حمدويه، عن الحسن بن موسى الخشّاب، قال: أحمد بن الحسن واقف، وقد روى عن الرضا عليه السلام، وهو على كلّ حال ثقة، صحيح الحديث، معتمد عليه، له كتاب النوادر. عدّه الشيخ في رجاله من أصحاب الكاظم عليه السلام (30)، قائلاً: (أحمد ابن الحسن الميثمي، واقفى). Notice dear reader that the man is a Waqifi, he does not believe in the Imamah of al-Reda, yet he narrates Ahadith from al-Reda! I want the Shia to notice before the Muslims, these Shia groups and religions we’re talking about, they aren’t just small groups that appeared for two or three years then disappeared, this man was one of the major scholars of the Shia in his time and one of their greatest of all times, and he died when? he died in 310 after Hijrah! Musa al-Kazim had died around 180 after Hijra, and when was the time of occultation or Ghaybah of your supposedly 12th Imam? it was around 260 after Hijrah, so this Shia Waqifi scholar died during the time of Ghaybah of your “Mahdi” and he never believed that he existed nor did he believe that there was a 12th Imam! Will the Shia readers PLEASE concentrate and think about what is being said in their books? if you check a-Tusi’s Fehrest you will realize that this man narrated a lot of your Usool and books of Hadith, yet he still remains a Waqifi, WHY!? Did he not come across the narrations about the names of the Imams!? Did he not come across the narrations which mention the number of Imams!? surely if these narrations existed then they must have reached him. حميد بن زياد، من أهل نينوى، قرية إلى جانب الحائر على ساكنه السلام، ثقة، كثير التصانيف، روى الأصول أكثرها، له كتب كثيرة على عدد كتب الأصول. Without a doubt the best Shia scholar of his time, he was aware of almost every single narration from the Imams as well as the men who narrated them since he had a book of Rijal, yet he never believed in the 12 Imams. إدريس بن الفضل بن سليمان الخولاني أبو الفضل كوفي، واقف، ثقة، له كتاب الأدب،كتاب الطهارة، كتاب الصلاة. So this is another “wet dog” who is a Thiqah according to the Twelvers. جيد التصانيف، نقي الفقه، حسن الانتقاد. وله ثلاثون كتابا، منها: كتاب القبلة، كتاب الصلاة، كتاب الصيام، كتاب الشراء والبيع، كتاب الفرائض، كتاب النكاح، كتاب الطلاق، كتاب الحيض، كتاب وفاة أبي عبد الله عليه السلام، كتاب الطهور، كتاب السهو، كتاب المواقيت، كتاب الزهد، كتاب البشارات، كتاب الدلائل، كتاب العبادات، كتاب الغيبة. [al-Hassan bin Muhammad bin Sama`ah al-Kufi, his Madhab is Waqifi, be he has good books, pure Fiqh, and good comments. he has thirty books, from them: Kitab al-Qiblah, Kitab al-Siyam, Kitab al-Salat, (…ect…) Book on the death of abi `Abdillah (as), book of Tuhour, book of Sahu, book of Mawaqit, book of Zuhd, book of Bisharat, book of Dala’el, book of `Ibadat, book of Ghaybah. الحسن بن محمد بن سماعة أبو محمد الكندي الصيرفي من شيوخ الواقفة كثير الحديث فقيه ثقة وكان يعاند في الوقف ويتعصب. Same story again, another renowned trustworthy Shia scholar, dies in the time of the Ghaybah of the 12th Imam and doesn’t even believe in him, where are the narrations of the Imams? when the renowned jurists and Fuqaha’ and Muhaddiths of the Shia, who transmitted the narrations of Ahlul-Bayt to the likes of Kulayni and Saduq, and lived in the time of the Imams never knew who the Imams were or their number? Trustworthy companion of two Imams, narrates their Ahadith, and doesn’t know the names or number of Imams. وعدّه في رجاله مع توصيفه بالكوفي في أصحاب الصادق عليه السلام (14) وفي أصحاب الكاظم عليه السلام (5) قائلاً: واقفى. Masha-Allah these companions of the Imams are receiving some major guidance it seems. قال النجاشي: زرعة بن محمد أبو محمد الحضرمى، ثقة، روى عن أبي عبد اللّه،وأبي الحسن عليهما السلام، وكان صحب سماعة، وأكثر عنه ووقف. وكيف كان فقد عدّه الشيخ في رجاله من أصحاب الصادق عليه السلام (98) وفي أصحاب الكاظم عليه السلام (2) قائلاً: واقفى. Another of the trustworthy companions of the Imams and a knowledgeable scholar of Shia Hadith who wrote one of their Usool is a Waqifi who doesn’t know the names or numbers of Imams. Allahu Akbar! The Twelver Shia are taking the fundamentals of their religion and Hadith from an EVIL ZINDEEQ!!! قال النجاشي: عبدالكريم بن عمرو بن صالح الخثعمى، مولاهم، كوفى، روى عن أبي عبداللّه وأبي الحسن عليهما السلام، ثم وقف على أبي الحسن عليه السلام! كان ثقة ثقة عيناً، يلقّب كرام. This guy is not an evil Zindeeq, instead he is extremely trustworthy and reliable described by Najashi as “Thiqah Thiqah `Ayn”! from the companions of al-Sadiq and al-Kazim yet he believes Musa al-Kazim was the Mahdi and rejects the Imamah of `Ali al-Reda. What a “clear” religion, the least we can say is that if AT LEAST these Shia knew that the number of Imams was twelve they wouldn’t believe in what they believe. 17 – علي بن الحسن الطاطري الكوفي 1، كان واقفيا شديد العناد في مذهبه، صعب العصبية على من خالفه من الامامية. وله كتب كثيرة في نصرة مذهبه، وله كتب في الفقه، رواها عن الرجال الموثوق بهم وبرواياتهم، فلأجل ذلك ذكرناها، منها: كتاب الحيض، وكتاب المواقيت، وكتاب القبلة، وكتاب فضائل أمير المؤمنين عليه السلام، وكتاب الصداق، وكتاب النكاح، وكتاب الولاية، وكتاب المعرفة، وكتاب الفطرة، وكتاب حجج الطلاق، وقيل: إنها أكثر من ثلاثين كتابا. This shia Faqih is so trustworthy that he doesn’t believe in the last five Imams including the Mahdi and wrote books to prove that al-Kazim was the last Imam and the Mahdi. أبي عبد الله (ع) – روى في كامل الزيارات – متحد مع لاحقه الثقة -. النجاشي – له كتاب – وذكره الشيخ قائلا ” غالب بن عثمان المنقري مولاهم السمال الكوفي ” – متحد مع سابقه. Another trustworthy Shia who narrates from two Imams and accompanies them and writes their Hadith, yet knows nothing about the Imams. Whether we are talking about the Fatahiyyah which we previously discussed or the Waqifiyyah which we just discussed above, we can’t help but notice that these men are all together in Kufa, all living at the same time, all hearing the exact same stories or narrations which circulated in Kufa, yet we see this major difference, and they have accompanied al-Sadiq and his father or his son and we all know that al-Sadiq narrated almost all the narrations of the twelver Shia, maybe around 23,000 narrations in their books, so all of these narrations were available at the time, even though the Shia were in Kufa and the Imams were in Madinah and even though the Shia scholars keep claiming that they were times of Taqqiyah, yet this huge load of narrations traveled from Madinah to Kufa in some way as they claim, and these Shia had access to these same narrations, especially the renowned scholars among them and the companions of the Imams… So how come it appears to me that the Shia of those days had absolutely no idea about who the Imams are, and what was their number!? May Allah save us from following our desires and our own hand-made religions.